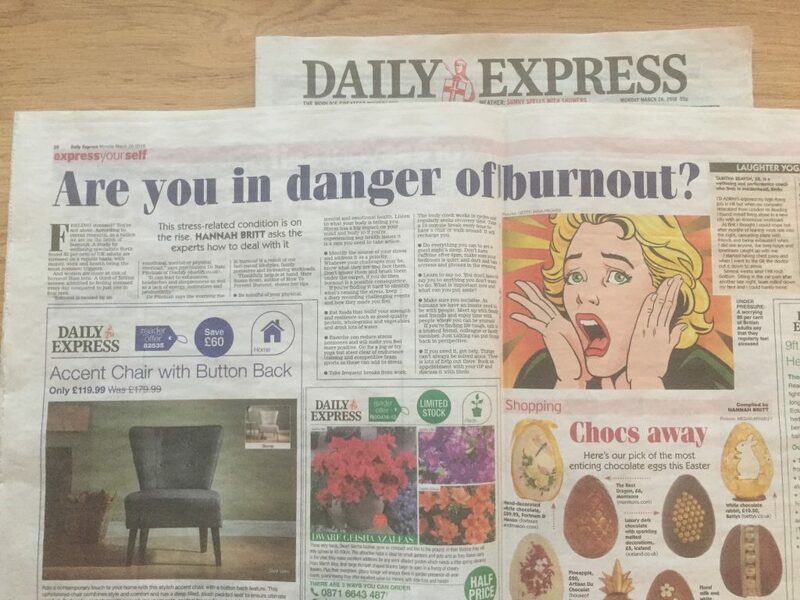 The Daily Express recently used my Top Ten Tips to Prevent Burnout in a double page spread about Burnout. 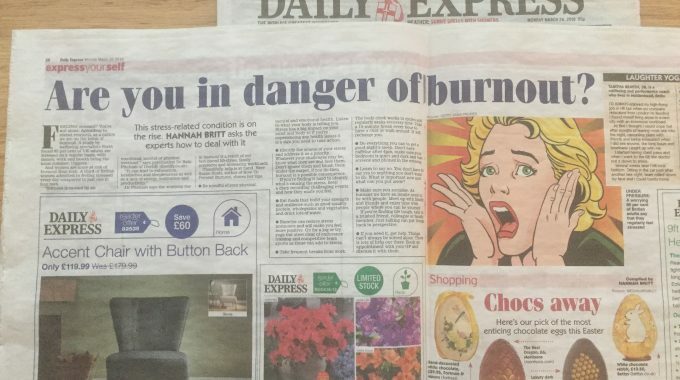 I hope their readers found it useful, because Burnout is an awful condition that no one should have to face. I like it that the adverts and other articles around it are for a chair, flowers and Easter Eggs! Don’t forget, if you aren’t already following my Instagram feed, then please do. 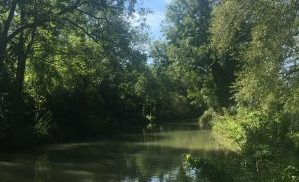 I’m focusing on ENERGY this Spring, with lots of tips and ideas to boost your energy and keep yourself in top condition during 2018 and beyond. Do You Have the ‘People Skills’ you need to Thrive?